Men’s grooming is going to take the beauty industry by storm this year. From styling trends to the increase in salon sales, you’ve got to be ready to capitalize on this movement behind the chair. When it comes to styling, it’s essential that you are the expert on all things men’s grooming by learning new cuts, suggesting the latest products and showing your clients how to style their hair when you’re not around. Putting key products in one spot is the easiest way to present this new routine to your clients. And, with the Dopp kit from 1922 by J.M. Keune, there couldn’t be a better time to brush up on the basics. So, what’s in your Dopp kit? Originally created in 1926, Dopp kits garnered their name after their creator – Charles Dopplet, and have been a travel staple ever since. Designed for toiletries, Dopp kits can be used in everyday scenarios to keep prevalent products in one place. In recent years, they have become synonymous with travel and are an extremely useful tool whether in the salon, at home, or on the road. With a flair for men’s goods, beards and body care, 1922 by J.M. Keune has crafted a Dopp kit we know you and your clients will dig! For a limited time, you can grab this kit for yourself or for your clients with 46% savings – be sure to contact your distributor for details! By giving and keeping all your client’s essentials in one spot, it takes the guesswork out of what they need to use. While the Essential Shampoo, Conditioner and Premier Paste are staples to any style; you can also customize this kit specifically for your client. 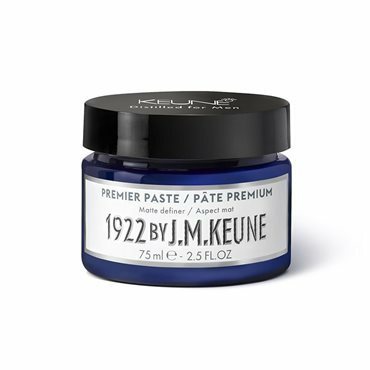 With an entire range of 1922 by J.M. Keune products, there is no style they can’t recreate! To learn more about the 1922 by J.M. 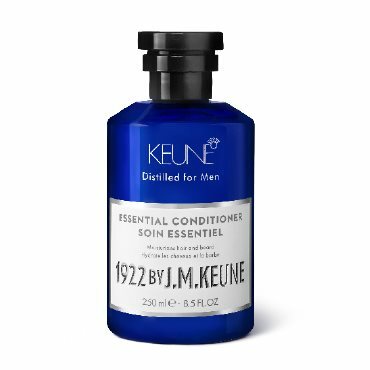 Keune men’s line, check out all of the products here.